We’re living in a pivotal moment, and what we do today will shape our city’s future for generations to come. Society has always been shaped by the small few who have vision. Even more so, those who are willing to invest in those visions. We stand at a special point in our young city’s young life. We find ourselves in this foundational time. And we have the unique opportunity to shape what our city will become decades and even centuries into the future. The investment of the House of Medici in the 15th century has shaped Florence’s creative heritage even to this day. And in the same way, we have a unique opportunity to plant seeds now that will set Orlando on a creative trajectory that will transform the world. I want to invite you to join us as we work to “cultivate a thriving arts community in Central Florida” and “Elevate Orlando as a global hub for creativity and innovation.” Let’s embrace the vision of that future and work together to bring it to life! 1. 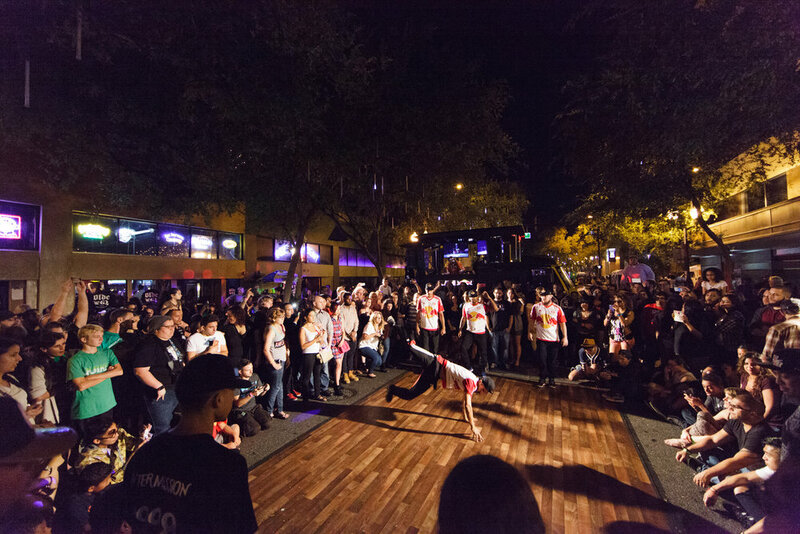 Produce weekly programming that connects nearly 750,000 people this year with important arts and cultural experiences across Orlando. 2. Connect new audiences with existing arts organizations. 3. Foster innovation in the arts across Central Florida by recognizing innovative organizations, leaders, and artists; and through artist workshops and seminars. 4. Create innovative and important arts experiences audiences can’t have anywhere else in the world — both at our annual event, IMMERSE, and throughout the year. 1. Two seats for the 4-course Dining Experience at IMMERSE 2019 in partnership with The Dinner Party Project. October 18 or 19, 2019. 2. Two tickets to future Society Innovative Programming events. Click here to get these perks and more! Thank you for your investment into elevating Orlando as a hub for creativity and innovation. Thanks to our IMMERSE Partners!